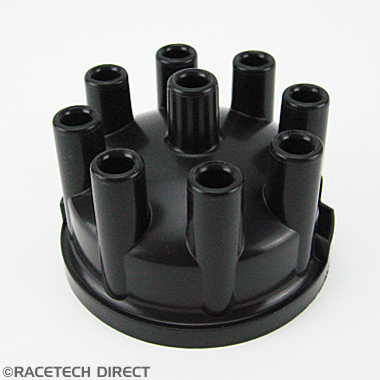 This is one of our most popular products, exclusively available from Racetech Direct. 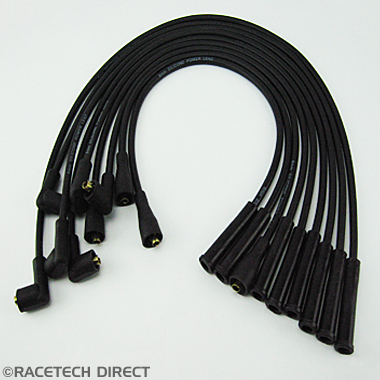 This TVR Ignition Lead Set with Ceramic ends is suitable for all Rover V8 engines. 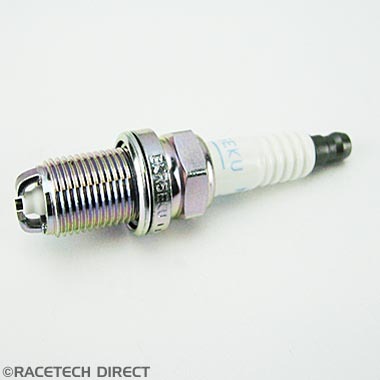 Manufactured by Racetech Direct this is a High Spec 8mm resistive lead with ceramic spark plug end to replace the metal end caps/ extenders (TVR part E0142). 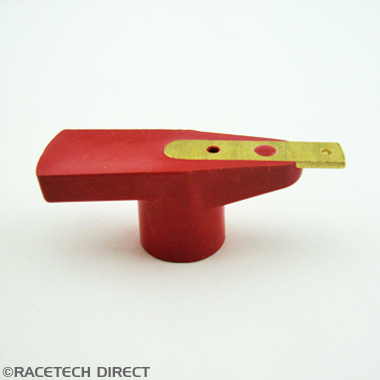 The ceramic ends are designed to withstand the intense heat generated from the exhaust manifolds. 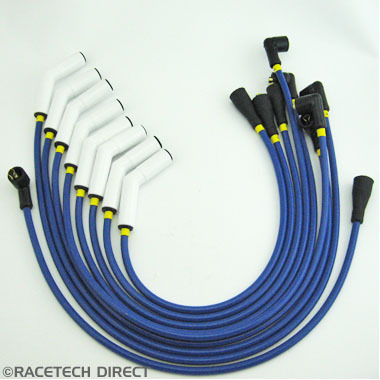 The spark plug leads are individually numbered 1 to 8 and the ignition coil lead is included in the set . 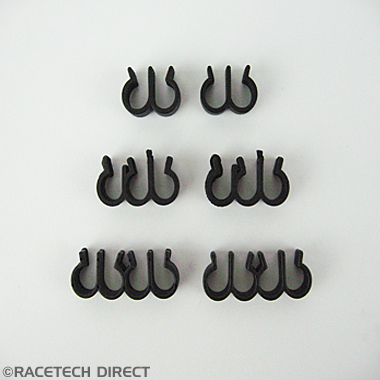 This is a complete ceramic lead set, pre-built ready to fit, no assembly needed. 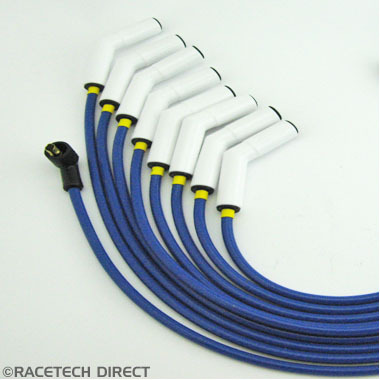 Please ensure you remove the existing metal extenders (if fitted on your spark plugs) before fitting these leads. 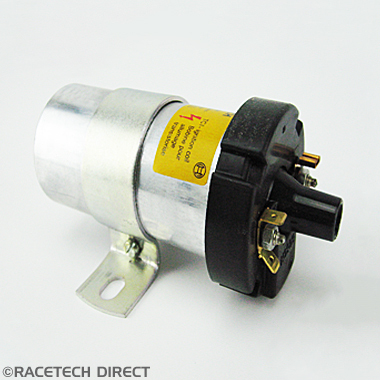 Manufactured to our own high specifications the uprated lead core consists of a fibreglass base coated with a ferromagnetic compound and tightly wound with a stainless steel resistance wire under a coat of conductive lacquer.This design ensures maximum spark quality with minimum voltage loss whilst maintaining excellent electro magnetic pulse suppression. Ceramic caps can be delicate if manhandled so handle with care. 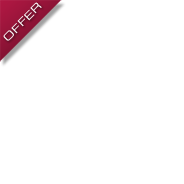 Please contact us on 01491 629219 for earliest availability!